Martín arrived from Mexico in Fort Stockton as a widower with his only son Luis. Want to know more? Click here to read his story as told by Juan-Paz Peña. 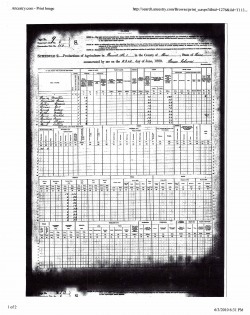 As found in 1880 US census Productions of Agriculture Schedule 2, Page no. 9, enumeration district number 119, Supervisor’s district number 6, Precinct No. 1, Pecos County, TX, June 23, 1880. Copy difficult to read, this is best effort. 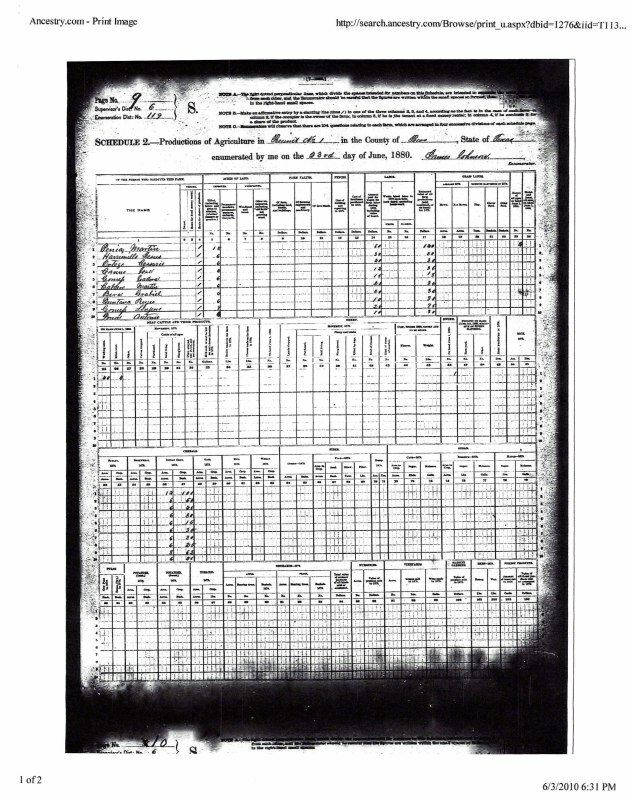 ± Estimated value of all farm productions for 1879 was $120. ± He has 40 working cows on hand on June 1, 1880, with 4 milk cows. ± Has 1 swine on hand on same date. Note: He has the highest number of acres farmed, largest number of cows, and largest harvest on the list. Out of 10 listed on first page, 8 farm 6 acres and one farms 8. He is the only one with 12 acres. Closest to him in wages paid is $30. No one else has cows or swine or other animals. On second page, Perfector Duarte also has 12 acres but was only paid $30 in wages in 1879 and his estimated value of all farm productions for 1879 was $90. No one has farm animals and everyone has crops of Indian corn. The information on this page was corrected July 13, 2010 with information provided by Juan-Paz Peña.